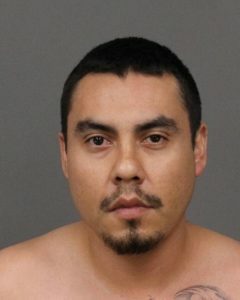 The 24-year-old Nipomo man arrested for murdering his girlfriend appears to be the same person who was profiled in a news article last year after being deported to Mexico. Last August, The Desert Sun, a Palms Springs area paper, published an article about a 23-year-old man from Santa Maria who had just been deported to Mexico. The name of the man was Julio Alonso. Prior to being deported, Alonso spent two years in prison for a parole violation followed by eight months in an ICE detention facility, according to the Desert Sun. Alonso’s criminal record is unclear, but the article stated Alonso claimed his parole violation was an arrest for driving without a license. 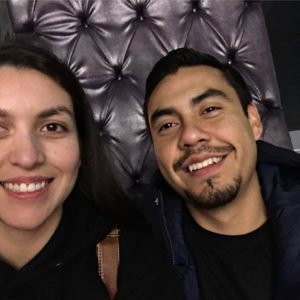 Early Wednesday morning, Julio Cesar Alonso, a 24-year-old Nipomo man, stabbed to death his girlfriend Paulina Ramirez-Diaz, according to the San Luis Obispo County Sheriff’s Office. Ramirez-Diaz was found dead with a stab wound in her neck at a home in the 600 block of Pomeroy Road in Nipomo where the couple lived with Ramirez-Diaz’s parents. Alonso’s mug shot from the San Luis Obispo County Jail appears to match a photo of the man profiled in the Desert Sun article. The Desert Sun report also stated Alonso had a girlfriend and a 4-year-old son in Santa Maria. Ramirez-Diaz’s Facebook profile, which contains photos of her with Alonso, states she was living in Santa Maria. Authorities have yet to comment on Alonso’s immigration status. Was SLO Mayor Heidi Harmon’s pride flag torched? Hmmm.. if only ICE had knocked on his door the night before the murder this tragedy could have been avoided. Why was Diaz hanging around with this known felon? That’s the question I have.